A pet policy is almost always a standard aspect of a leasing agreement for a residential space such as an apartment complex. While these policies are crucial, they do not always thoroughly outline expectations and rules when presented to a future tenant. 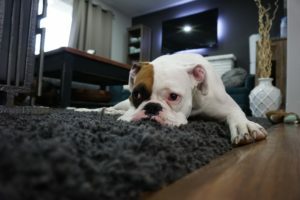 For this reason, many pet policies are often perceived as vague with their terms, leading to misunderstandings with tenants down the road. As you are preparing for the new year ahead, consider how you can avoid this issue as a property manager by creating a clear and efficient set pet policy for 2019. Is your pet aggressive towards other humans or animals? Does your pet have a history of property damage? Who is responsible for your pet during the day? What is the protocol for your pet’s care when you are not at home? By asking the right questions, you will be able to understand the history of your tenant’s pet and as well as the risks that the pet could potentially pose to other tenants in your building. While this option varies by state, charging a refundable pet deposit in your pet policy may provide an additional incentive for your tenant to prevent property damage caused by their pet. Should you choose to utilize a refundable deposit, it is crucial to specify the details in your policy and outline the potential for a refund with good behavior. The specific amount that you charge should be a reasonable amount, but should also be significant enough to ensure the prospect of good pet behavior with a fair incentive. Writing these specifications into your pet policy enables you to prepare for a variety of circumstances involving your tenants while accurately managing expectations for their pets. This entry was posted on Friday, January 11th, 2019	at 10:32 am	and is filed under Property Management	. You can follow any responses to this entry through the RSS 2.0	feed. Both comments and pings are currently closed.